The idea comes from Southeast Asia where they know a little bit about hot humid weather. Their food is famous for being fresh and clean, with very little gluten, dairy, oil, or sugar. 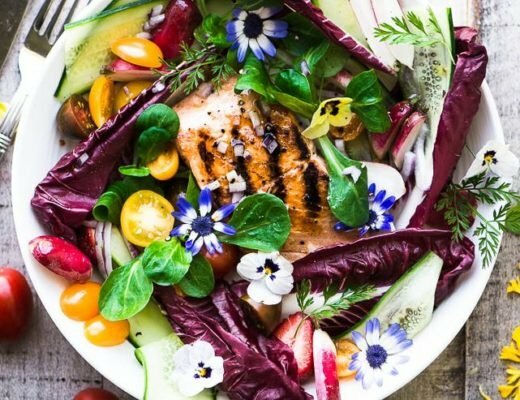 The focus is on fresh vegetables, herbs, and spices, and it’s a beautiful way to eat. …just slice everything (except the greens) into fine matchsticks. 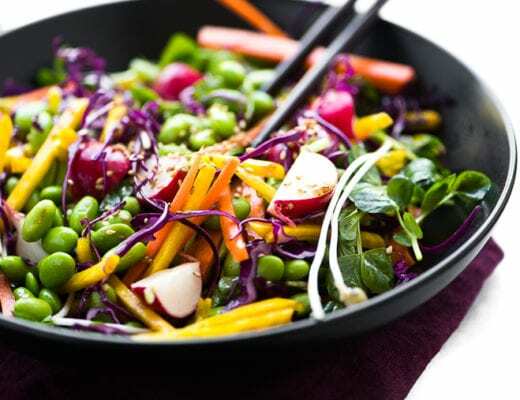 The leafy greens and sprouts lend a delicate crunch to balance out the harder raw vegetables. You’ll wrap everything, burrito style, in a barely-there rice paper wrapper, I’ll show you just how easy it is in the video below. 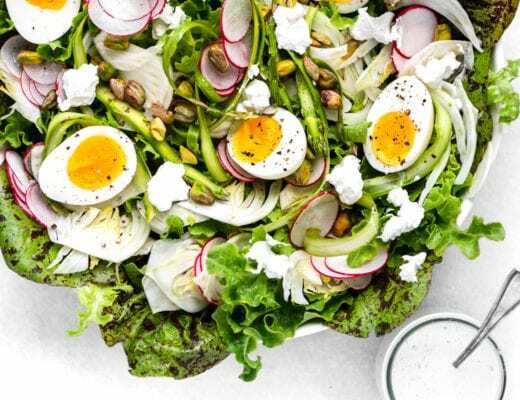 The dip, or dressing if you want to follow the salad analogy, is super important and provides some wonderful flavor to every bite. You can go light and cool, or spicy. I’ve done a SPICY PEANUT SAUCE which makes a great contrast to the rolls, but today I’m going with an uber simple coconut milk and lime mixture. Dunk, crunch, dunk, crunch…once you get a rhythm going it’s hard to stop. 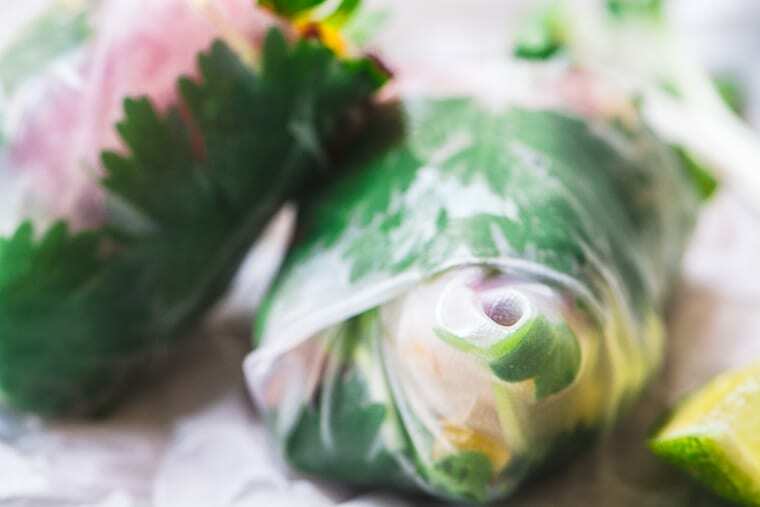 TIP: Summer rolls are best enjoyed immediately, but you can make them up to a few hours ahead if you keep them covered in a damp towel, and then a layer of plastic, in the refrigerator. OK, so let’s cut to the chase, you’ll need some rice paper wrappers…if you’re lucky your local supermarket will stock them, right in the same place you find other Asian foods like soy sauce and ramen noodles. These round wrappers come in dried, flat circular disks, and they’re the same ones you’d use to make fried spring rolls. You can always buy them on Amazon, here, and because they last forever, I’d recommend stocking up on several packages so you’ll have them on hand. Once you start making summer rolls you’ll never want to be without them. Click on the photo below for all the info. Peel and cut your carrots, radish, jicama, and cucumbers into very thin matchsticks, about 5 inches long, or as close as you can get to that. Don't stress too much about the length. Keep them under a wet kitchen towel so they won't dry out as you work. If you plan to chop your veggies ahead of time, make sure they are well wrapped and kept damp. Pour a little cool water into a large pie plate or other dish that is large enough to fit the spring roll wrappers. Work one at a time and immerse a wrapper into the water for about 15 seconds, just until it starts to soften. Lay the wrapper on a flat surface and arrange a few of the cilantro or basil leaves, face down, onto the center of the wrap. Pile the cut veggies on top of the herbs. Bring the edge of the wrap up and over the pile of veggies, folding in each side as you go, just like you would wrap a burrito or flatbread sandwich wrap. 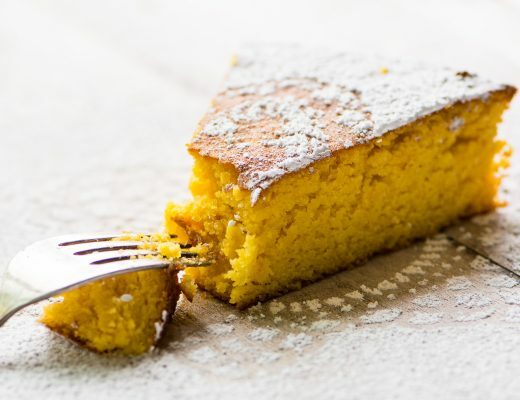 Slice in half with a very sharp knife before serving. Place the rolls under a damp paper towel while you make the others, to keep them moist. To make the sauce whisk the coconut milk together with the lime juice, adding the lime juice to your taste. If you are making it ahead, the coconut milk will solidify in the refrigerator, so bring it to room temperature before serving. Experiment with different types of sauces, or serve a selection for people to sample. Summer rolls can be filled with lots of different kinds of things, including fruit! Consider cutting matchstick pieces of apple, pear, or mango, and serving with a sweetened sauce for a snack or dessert roll. The rice paper wrapper has no flavor of its own, so it can go sweet or savory. Don’t forget to pin these rainbow summer rolls! Chillback with No Churn Ice Cream Recipes this Summer! Thanks Traci ~ I’m just on imovie ~ don’t know when I’ll ever graduate to Final Cut!! Wait to make them so a quick no heating up the house on a summer day ! Your recipes thanks for sharing ? 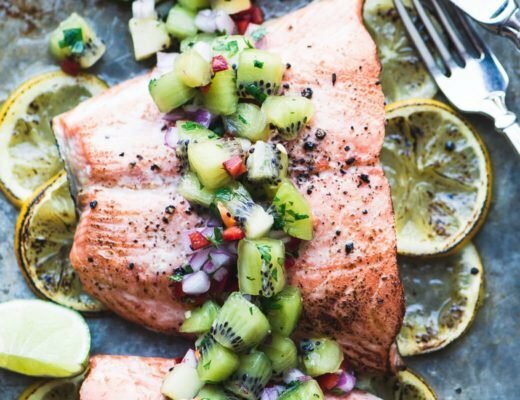 Summer time requires easy and light recipes like this one! Great idea, Sue! These are the prettiest summer rolls ever! Love these for hot summer days! These look beautiful. I am a big fan of making rainbows in salads.. my fav is rainbow coleslaw in a big white dish presented as a rainbow and tossed at the table. In the middle of winter here downunder. So these have me dreaming of Summer while I have toasted your delicious Paleo Breakfast Bread and coffee. I’d love to see a photo of your rainbow coleslaw, I don’t think I’ve ever seen it done that way. I’ll have to work on that for later this summer. It’s always so fascinating to think of you folks heading into winter as we head into our heatwaves ~ stay cozy! Didn’t see this til today busy with talking with my Navy Children and visiting sick relatives but still wanted to put my fav ice cream. Bittersweet symphony… coffee ice cream with fudge pieces and fudge swirls yum!! Oh gosh that sounds DIVINE! my favorite ice cream flavor is black walnut. 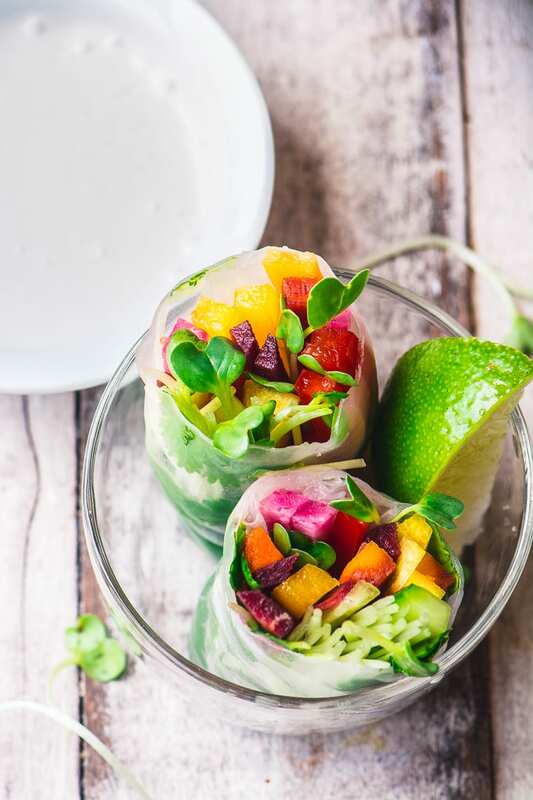 your rainbow summer rolls are so pretty can’t wait to try them. You’re the only one who mentioned Black Walnut Tamara, I am now dreaming of it, I think it sounds so interesting. My favorite is coffee. Or vanilla. Sometimes chocolate. And I don’t mind strawberry, in a crispy cone. What I like most about your blog is the color, refreshing as cold water, I think of it as color therapy. Thank you! LOVE that comment Judith ~ I think I’ll frame it over my desk for moral support! Those look amazing! My favorite ice cream flavor is chocolate chip cookie dough. I know the response is late but I was at a wedding and guess what I brought for a snack for everyone.. the chocolate chunk peanut butter cookies. Everyone loved them! “gorgeous colors and exquisite decoration on any plate or table. Just to beautiful to bite into!! Those are almost to lovely to eat, but I’m sure I would! And my fav ice cream is white chocolate raspberry! I love that you posted the rainbow rolls. It’s been 100+ degrees here and OVEN is not in my vocabulary for the next week or so. My favorite ice cream flavor isn’t really ice cream. I have an amazing recipe for blood orange rosemary sorbet that I make every year when blood oranges come into season. Aaaaahhhhhhh, why haven’t I tasted that yet? Had to order the rice paper. Having a hard time finding them locally since my favorite store closed. As for my favorite ice cream I have two, one for winter, Rum-Raisin and one for winter, Chocolate Chip Mint. <3 Also love all the other flavors too. Who doesn't love ice cream? Have a great summer. These rainbows made me feel cooler, just by looking at them! I am looking forward to trying them. My favorite ice cream is lemon. It’s hard to find these days. I am not talking about sherbert or sorbet, but lemon ice cream. So yummy and refreshing in the summer. Guess you can tell, I’m older, you don’t see it around these days. I suppose making it myself may be my only recourse!? I am truly enjoying this site and the delightful recipes. Thank you. You need to try my lemon ice cream recipe, Marilyn, it’s one of my favorites! Can’t wait to try the rainbow rolls! Talk about tasting the rainbow! The truth is my favorite kind of ice cream is…any kind of ice cream. But if I had to choose a flavor….salted caramel would be my pick. I love your recipes, Sue and have tried many of them with very good results. My favorite ice cream flavor is almond joy. my favorite ice cream flavor is cake batter! My favorite ice cream is french vanilla with a ripple of peanut butter. I love butter pecan, but cannot wait to try making Guava Sherbet! Vanilla. I mean an excellent vanilla! You can do so many things with it. One of my all time favorites is thinly sliced banana with rice Krispy. YUMMO ? Your summer rolls are gorgeous! So colorful- perfect for these hot days. :) I love pineapple ice cream; it’s the flavor my dad made almost weekly in the old hand crank machine that we had to chip ice off of a big block to feed. Really enjoy your site! My favorite ice cream is black raspberry. I love that flavor, I need to find some black raspberries to make it from scratch! PS… my favorite ice cream has coffee in it! These look beautiful! I’ve made spring rolls only once, but they were fun and worth it. Thanks for your blog. Yours is one of the very few I value and continue to follow. You provide interesting content and recipes that are approachable. I really appreciate the support Suzette, thanks. Can’t decide between burnt salted caramel or pistachio. My very favorite ice cream flavor is coffee. I have loved since childhood. Can’t wait to try the summer roll recipe! Dried herbs in the microwave this afternoon and then made your homemade Boursin recipe. Absolutely beautiful summer rolls. I am definitely going to try them. My favorite ice cream flavor is pistachio. 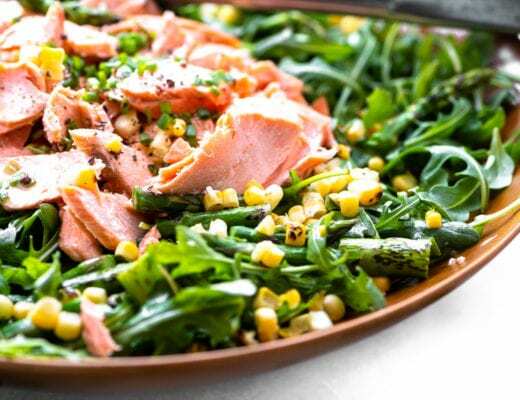 With 5 kids in the family , my Mom had a big garden every summer so we had a lot of Veggies This recipe is so changeable with all kinds of veggies to use. I love fresh green beans and black eyed peas raw. So much flavor. Thank you for this recipe I will enjoy it for a long time. I’ve never eaten black eyed peas raw, but when I cook the dried ones I under cook them on purpose so they have a little crunch, love it! Yahoo! This looks delishious. Thank you for posting a recipe that is basically gluten free. And, I love Butter Pecan ice cream. Yum, to both! These summer rolls look so refreshing for summertime heat. As for ice cream, I love coffee with some chocolate swirled in. Sue, Keep up the innovative recipes, beautiful photos and now VIDEO! WOW! I love a mix of chocolate and vanilla ice creams, a swirl, or as my daughter called it long ago, ” SQUIRREL”! Haha, thanks Dana, and that sounds like something my daughter would have said! My favorite ice cream is Strawberry! Pistachio ice cream… (Spelling?!?!) to die for fave – BUT .. rasberry with dark chocolate covered apricot pieces a very close second. I have to admit that plain vanilla is my absolute favorite! I guess that makes me a plain vanilla kind of person! Thanks for the support, I appreciate it, and I’ll keep plugging away at the videos because I have no choice, the whole industry is going in that direction! My favorite ice cream flavor: Strawberry ? Favorite ice cream flavor? Pistachio followed in close order behind mango and salted caramel! Mmmmm….I love so many different flavors of ice cream! I think my favorite is mango, followed closely by pistachio! By the way, these summer rolls are amazing!!!! The are going to be made often this summer!! Thank you!! I know this is boring…but bottom line-vanilla is my favorite ice cream flavor!! P.S. Great video! Shows how easy it is to make these Rainbow Rolls. Your spring rolls are a must try for us! I love that you post “how to” pictures..not just the recipes. Thank you for that. My favorite ice-cream is (haagen dazs) coffee with your recent post of hot fudge sauce! As soon as the hot fudge is gone, we make another batch! Ooooh, now you’ve got me hungry, my favorite way to use that sauce is on my cardamom ice cream, yum!! Coffee ice cream and I would love to win this little ice cream machine. My daughter is allergic to milk – it would come in handy to make our own! My favorite…ANYTHING W/Chocolate in it except…that yucky MINT chocolate chip stuff! As they say, you eat with your eyes first, and these Summer Rolls look absolutely stunning and so appealing! Yum! Thanks for the recipe, Sue! My favorite ice cream is Chocolate Peanut Butter Cup! Peppermint ice cream is my favorite — so refreshing! My grandmother always saved our Christmas candy canes in the freezer and made peppermint ice cream for family gatherings in the summer. Sweet memories tied to it! Sue, thanks for all of your sharing. My favorite ice cream is homemade tart cherry cream cheese made with cherries from my tree in the yard. My fave is coffee expresso with dark chocolate nibs! and I’ll use my machine for the next decade-promise!! My favorite flavor is the classic mint chocolate chip!! So refreshing here in Arizona! Favorite ice cream is rocky road, thanks for your time . I love your food ideas ? Homemade is cream is so awesome. I like banana and coconut. My favorite ice cream is chocolate chip cookie dough! Wow! I love spring rolls..and, yours are so vibrant with color and healthy..beautiful! I think vanilla bean icecream ..my favorite will be a delicious cooling dessert. Hubs either cherry or butter pecan. A machine would be nice to make them all and have an ice cream social. Have a great weekend Sue. My favorite ice cream flavor is chocolate. Your recipes are awesome! Love, love, love the vibrant colors of your wraps! Looking to make these again using your sauce. I love maple ice cream made with real New Hampshire maple syrup! I have been dieting and fins so many ways to eat more vegetables from your site. Love, love love spring rolls, and this veggie style is perfection. Thanks for sharing your creations with us. Love the freshness of rice paper summer rolls. And it makes the guilt of coffee ice cream just a bit less heavy. My favorite ice cream flavor is mint chocolate chip! My favorite ice cream is moose tracks, love that fudge! My favorite ice cream is lemon and almond (had years ago in San Francisco at a shop that no longer exists). These look delicious. My fave ice cream flavor is chocolate peanut butter. Cuisinart is a wonderful brand! My favorite ice cream is Vanilla Bean. I do love a variety (peach, rocky road, butter pecan, etc) but that’s my main go to flavor. Peppermint ice cream has always been my favorite ? Thx for the opportunity! My favorite ice cream flavor is coffee. My favorite flavor of ice cream has to be the Honeysuckle ice cream, love, love, love!!! My favorite ice cream is Mexican chocolate – with its bit of a kick. I do love seeing the emails for your different recipes! I forward them to my daughters and they are loving them, as well! These Spring Rolls look amazing! I am looking forward to making them. And this recipe will, without a doubt, be forwarded to my girls! Oh, almost forgot…my favorite ice cream (probably a bit old fashioned flavor!) is Chocolate Mint! Vanilla, plain and simple is my favorite! Finally! A summer roll without avocado (I’m allergic). I bet they would go well with a pesto dipping sauce also! Thank you for all your recipes. Your rainbow spring rolls are so pretty hope mine turn out like yours. My favorite ice cream is BLACK CHERRY. Try to keep cool today it is going to be hot one again in sunny california. Love your recipes. I’m partial to mint chocolate chip ice cream. I’ve tried so many of your recipes – love them! Family and friends love them too – thanks you for the absolute freshness of them all! The most recent I tried was the lemon cake with blueberry sauce and homemade whipped cream- wonderful! I love peach ice cream ? I love summer rolls and these are gorgeous! Favorite ice cream? Anything Mocha. They last forever so it’s such a smart thing to do! My favorite ice cream is Coconut Almond Fudge, or basically anything that has chocolate of some form. I’ve always wanted to try making my own summer rolls, this is just the inspiration I’ve needed. That would be fun Rynn, you could do a summer roll bar! Thanks for all the great recipes and nutritional info with them. Our cuisineart ice cream machine died? and we’d love a new one. Thanks! Favorite ice cream – Toffee Caramel Pecan or Praline Pecan. My favorite is white chocolate raspberry ice cream! My favorite ice cream is Maple Walnut, it was also my mom’s favorite. That is an amazing looking rainbow roll…I would make that in a heartbeat and my family would love it…I will give this recipe to the Mr., he is the one that cooks here! I bake and make desserts…we love all flavors of ice cream, gelato, and sorbets, chocolate and straWBERRY ARE THE FAVS. These summer rolls are absolutely beautiful! They look delicious too and so refreshing for hot weather. Ice cream flavor … oh, way too many choices! One of my favorite local shops has a coffee toffee flavor that’s fantastic. Another has a lemon cream ice cream that is wonderful. Sounds so yummy & pretty too. I live it’s WW friendly. Will be trying this weekend, it’s suppose to be 103 here in the Bay Area. Thanks!! AND, vanilla or vanilla bean, coconut, and chocolate chip are my favs! Yummmmm. I can’t wait to try these!!! And they are prettier than my daughter-in-law’s sister’s Spring Rolls! As long as your veggies are fresh and colorful they should turn out pretty Joyce! Love the jicama in these summer rolls. My favorite ice cream is lemon! So tart and refreshing! Hi Sue! My favorite ice cream flavor is mint chocolate chip. 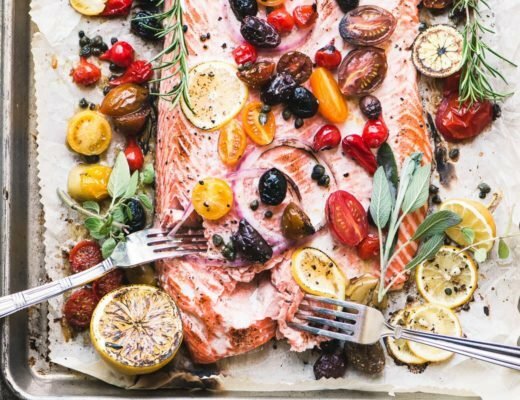 Love the blog, inspires me everyday to want to cook for my family! My all time favorite ice cream is chocolate macadamia with coconut11! Hands down the BEST!! Absolutely gorgeous summer rolls. My favorite ice cream is amaretto with chocolate chips. Yum. Chocolate, nuts & a little esspreso powder sprinkle! Love your recipes and beautiful images. I look forward to your posts. My favorite ice cream is a bit unusual – Blizzard of 66. If you hail from the Northeast, you can never forget that epic blizzard. Anyway, the flavor is coconut and white chocolate with a hint of rum. It was a limited release from Perry’s Ice Cream about six years ago. My Hubby and I went crazy for it. Now it’s only a memory but I have daydreamed about recreating it. These summer rolls are going to be the salad course for my next dinner party. Gorgeous. My favorite ice cream: Butter Pecan! My favorite ice cream flavor is plain old yummy vanilla bean! 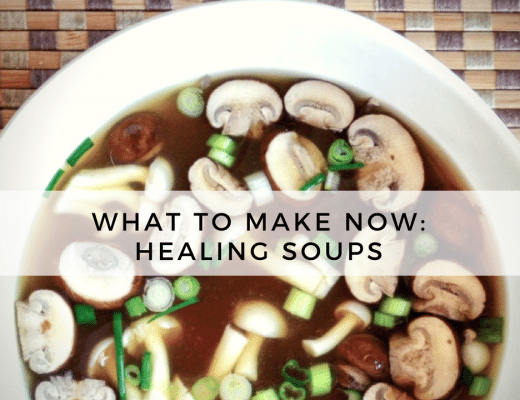 !……i love this blog….you have such a creative way of looking at nourishment! Thanks! My favorite by far is Rose Petal Ice Cream, made with organic roses from my garden. Thank you for the summer roll recipe, this is one of my warm weather go-to meals. My favorite ice cream is mango sorbet. The summer rolls look amazing. They remind me of some that I ate at a 4-star restaurant, except those also included shrimp and avocado. They were so amazing. As far as ice cream goes, I don’t think I can pick a favorite. I like them all :) thanks for sharing the recipe and video. I’ve been enjoying your site. Favorite ice cream? Here in Michigan, it’s got to be Mackinac Island Fudge. My favorite ice cream is anything with cherry and chocolate! And those summer rolls are right in my cookbook! I’m on an elimination diet, and they look perfect! My favorite ice cream is vanilla. These summer rolls are beautiful. Love the colors. Man the spring rolls look so beautiful!! Love all the bright colors. my recent favorite ice cream is chocolate chip cookie dough; perfect balance of a little vanilla, a little chocolate, a little cookie dough. Yummy!! My favorite ice cream is coconut. These summer rolls are gorgeous! I make these types of rolls throughout the year. The garden is in full swing here in GA and these are an awesome way to incorporate the bounty! Favorite ice cream here is vanilla custard with fruit drizzle. That fruit drizzle sounds great! These spring rolls look delicious. My favorite ice cream flavor is rum raisin. It would be fun to make. I love your blog and honey lavender ice cream. My favorite ice cream flavour is Mango. Cinnamon ice cream is amazing and fun to make. I make a weekly meal for friends. Currently it’s around 40! These are def going on the menu very soon!! I will have to add some butter peacan ice cream too! Favorite ice cream flavor: chocolate chip! Your rainbow rolls are not only delicious, they make a very pretty centerpiece on the buffet table first! Love it. Ice cream flavor? All of them, but the darker the chocolate, with maybe a stream of raspberry jam or peanut butter flowing thru would be my choice. The Rainbow Summer Rolls looks good and easy to prepare.. 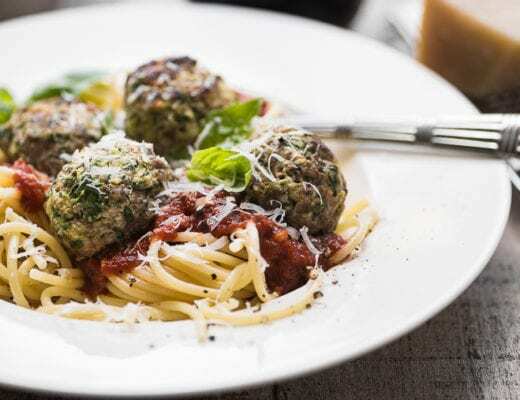 This recipe looks terrific as do all you recipes. Also, beautifully photographed and easy instructions. Really enjoy your newsletter–thank you for being online. My favorite ice cream would be a combination of chocolate and peanut butter. I have had chocolate ice cream with big chunks of orange flavored chocolate or chocolate ice cream with big chunks of mint flavored chocolate. Goodness, that’s three!! Enjoy your day. Love the color in the rainbow summer rolls. And thanks for the giveaway! Love cinnamon ice cream. Wish it were easier to find. I’ll do that on the blog sometime Brenda! These summer rolls look so fresh and light, yummy! These summer rolls look so fresh an light, yummy! Love the video. My favorite flavor of ice cream is chocolate peanut butter. Thanks for the wonderful recipes and fun giveaway! I love ALL ice cream flavors, but my favorite would be Key Lime Pie …. when I can find it. Let the hunt begin! What a beautiful looking dish Sue ^^ My favourite ice cream would have to be black raspberry, but cinnamon is also really good! Sue, Thanks for another splendid recipe. I am especially happy since they are gluten free! Good old Chocolate… and Vanilla Bean!!! Ice cream: best I’ve ever had was basil and goat cheese ?? Vanilla with a balsamic glaze. 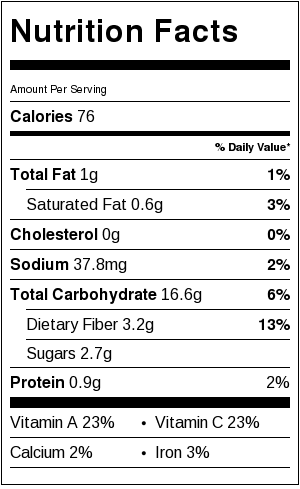 Black raspberry – and if I can’t find that I will take coffee! Those are so pretty! I don’t love veggies but those are super tempting. Hello! Have loved your artistry for a long time! Keep it coming! One of my favorite ice cream flavors is zanzibar (not sure of spelling but I can eat it well!) chocolate ice cream. Thanks a bunch! Thanks for the opportunity to win! Favorite ice cream flavor is Cranberry Bog! Summer is a great time for your rainbow rolls, and also for a lovely caprese salad topped with a small scoop of basil ice cream. Yes, basil!!!! I had a salad with basil ice cream in Chicago once, and it was amazing. It’s not available in stores, so making it at home is the only option. Would be awesome to master that in time for the summer tomato crop. Sue, these rainbow rolls are gorgeous, it’s food art! My favorite ice cream flavor is fresh peach. My favorite ice cream? Vanilla bean! Summer rolls are a feast for the eyes and palate. Your photos and descriptions are a pleasure to receive and try. Thank you. My favorite ice cream is a good dark chocolate, but I must say the best cold treat is a chocolate hazelnut gelato. These are really beautiful! I think purple top turnip (not rutabagas) in place if the jicama would add a bit of sweetness to the veggies. I really appreciate your blog, Sue. It’s great to receive inspiration on days when I have none! Great way to add summer veggies to your diet and so would some homemade strawberry ice cream! Thanks for all your wonderful recipes and inspiration! Nothing beats homemade coffee ice cream! Cannot wait to try the summer rolls! Those are so colorful, they look to pretty to eat! Something I might have to sneak in on my husband on a hot day this summer! My favorite ice cream flavor is peach. Chunky Monkey ice cream has my vote!! My favorite ice cream flavor is Vanilla Bean. But, I would make oh so mamy flavors with my very own ice cream maker :). I’ve never even heard of rice paper wrappers but now I need to order them. And I definitely need to make the peanut sauce. Oh, goodness! Favorite ice cream flavor?? 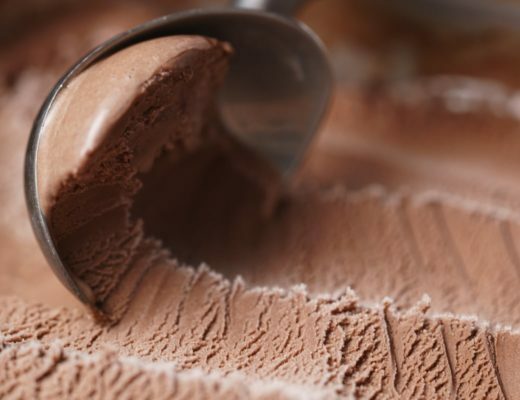 ?Ice cream is my summer food staple…hmm….chocolate almond! Yup. Especially if there are LOTS of almonds! These look amazing! I feel like I want to serve them with chicken and add in the avocado! Favorite ice cream? Hmmm… I love coconut with crunchy nuts and chocolate mixed in! Always need the crunchy extras added in! Vanilla bean ice cream is my very favorite!! Love all your recipies and photos Sue. You are a very talented photographer. Every thing you post looks so delicious. My favorite ice cream flavor is vanilla, pure unadulterated vanilla. I look forward to seasonal flavors offered by BB and prowl the ice cream isle anxiously awaiting their delivery! Ben and Jerry’s Chocolate Brownie is my absolute favorite. It’s especially indulgent when enjoyed in a cone from the Ben and Jerry’s ice cream shop at the District, a high end boutique “mall” perfect for catching up with friends and copious amounts of window shopping . I always look forward to seeing and reading your newest recipes. Your creativity is refreshing and the recipes so yummy!!! During the hot and humid climate in Florida, I like the flavors of mango, strawberry and cardamom mixed with Greek yoghurt. I always look forward to your new recipes to get ideas and inspiration from. The spring rolls are gorgeous! As for ice cream I have to go with black raspberry. favorite ice cream – vanilla with tons of add-ins like chopped butterfinger candy bars, fudge sauce, pecans, caramel sauce and anything else I can can find! I always look forward to seeing and reading your newest recipes. 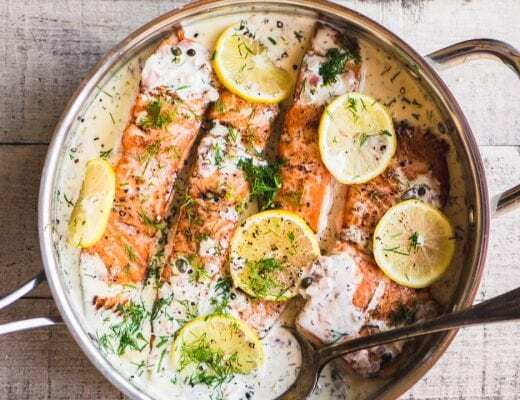 Your creativity is refreshing and the recipes so yummy. ? My favorite ice cream flavor is cookies and cream! I love that Tovolo tub you posted about for Ice cream. Your recipes always looks so yummy and visually appealing. Keep up the good work and great photo’s. I wonder where you get your recipe Inspiration from?? I’m a natural fit for this job Carolyn, because I get inspiration from everywhere, and most of the time I suffer from too many ideas! I always get inspired when I go out to eat, abut also from magazines (I love Bon Appetit) and my cookbook collection. Wonderful idea for a fun healthy lunch. Now for my favorite ice cream. Anything with nuts especially almonds and cherries. i really want to make these rolls! So fun, so colorful and fresh! 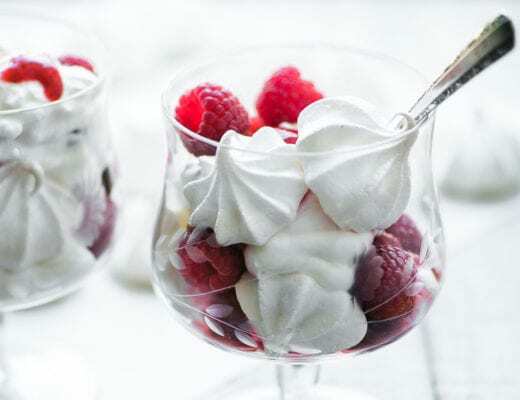 My favorite homemade ice cream flavor~Vanilla with fresh raspberries on top! Oh yum! I love maple walnut ice cream…brings me back to my childhood and reminds me of home. Pralines and Cream==by the quart!!! Growing up – favorite was Blue Moon – haven’t had it in years! What was it, Deb? I love the name! Favorite ice cream flavor?! Why not just ask me to choose between my children! But if I must….chocolate ice cream with caramel, chocolate chips and pecans. Thanks! Thank you for your wonderful recipies, they are always a hit! My favorite ice cream flavor is strawberry! Yummy old fashioned vanilla bean… with lovely bits of the bean in every bite?? My latest favorite ice cream flavor is coconut with chocolate chunks. These spring rolls look beautiful and easy to do! These are the prettiest things I’ve ever seen they’re almost too pretty to eat and I love the spices you used !! These summer rolls look so beautiful! Really feast for the eye first. I have the wrappers and most of the ingredients so will be making these asap! Have always used peanut sauce for spring rolls, glad to try new dipping sauce.esp easy one. My favorite ice cream is probably butter pecan, but I’d love to make Rose or green tea, something unusual. Love TVGI, Sue, you are so talented, we appreciate you! My favorite ice cream flavor is coconut. Sue, I always look forward to seeing your beautiful creations. These look wonderful!!!! 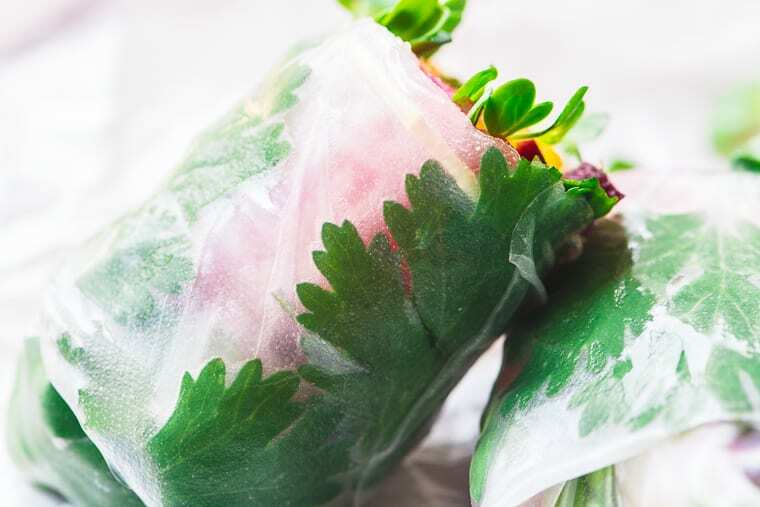 The rainbow summer rolls look so colourful and refreshing and very crisp. Yum, will be trying these. My favorite ice cream flavor is mint chocolate chip. I love your blog! My favorite ice cream is mint chocolate chip. These rolls are beautiful! The rolls look awesome and I’m inspired by your recipe ideas today (SF Bay Area heat wave in progress). I grew up on homemade nectarine ice cream in the Central Valley. Yummy! I adore nectarines, Karen, and I have a Nectarine Frozen Yogurt on the blog. I’ll have to try an ice cream. Without question, my favorite ice cream flavor is dark chocolate fudge. Thanks for the summer rolls. I definitely will be making them. However, I must admit I like the stinky fish sauce that my friend serves with her spring rolls. I wonder how the flavor would mess with the summer rolls. I think that would be great, it might even tempt my husband to eat more summer rolls! They look too beautiful to eat!!! 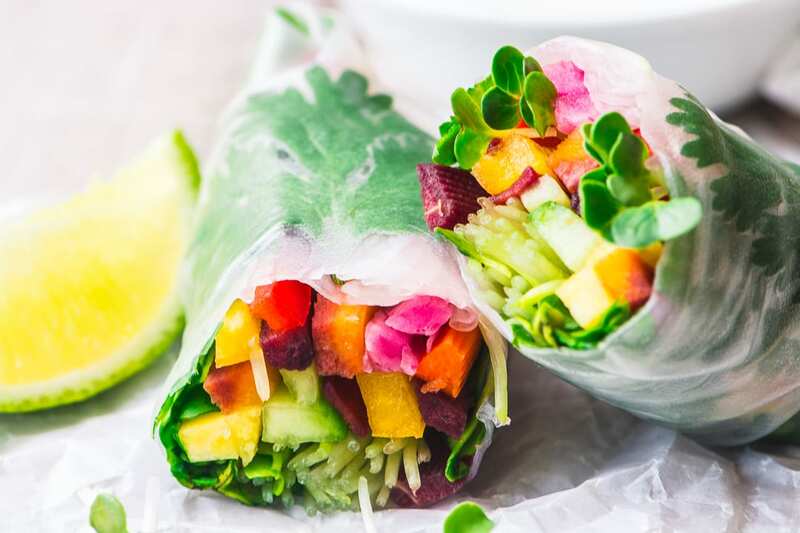 The rainbow rolls are beautiful, healthy, and delicious looking – just right for summer! Ginger ice cream is the fav of the moment! Looking forward to trying new combinations this summer! 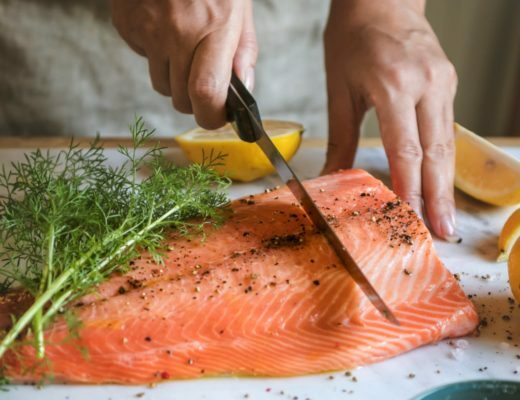 Keep writing and posting delicious recipes! Favorite ice cream Caramel Pecan Praline! I love a colorful lunch. These look great. Oh, and ice cream! Love to make summer rolls and your ideas are great. Favorite ice cream – fresh home made strawberry??! Perfect summer eating, fresh and crunchy. Ice cream… coconut pecan. These look so delicious and light. Would definitely have room for either butter pecan or strawberry ice cream afterwards. Thanks for all the great recipes. Love how easily these come together. Especially love them on those sweltering southern summer days when you just don’t want the oven on! The summer rolls look delicious. Mint chocolate chip ice cream is my favorite! Looks so refreshing; cant wait to make. My favourite ice cream and ice cream flavour is the Sara Lee Chocolate ice cream. In fact, the Sara Lee Chocolate Cake itself really resembles your Cold Chocolate Snacking Cake which I made recently for a friend’s birthday/engagement party. They LOVED it! Making it was nostalgic and the aromas brought back a lot of memories from having the SL cake and ice cream as a kid. Also, beautifully vibrant colours in those Rainbow Summer Rolls and the photography. ?? Thanks Meredith ~ I didn’t even know Sara Lee made ice cream! My favorite ice cream is definitely mint chocolate chip! What is my favourite ice cream? Such a hard decision. It would have to be whatever is in the freezer right now, but chocolate will always have a place in my heart. The rolls are beautiful by the way. Sorry didn’t see the US only at the end. I’m from Canada. Sorry Janis, I’ll do another one that includes you soon! They look like they would be the perfect thing for a hot day when you’d like to have something cool and crisp to eat. Planning to try them. I love vailla bean ice cream. Someone else mentioned honey lavender, Kimberly, so I may have to give it a try on the blog! So pretty and I love your selection of veggies, especially the jicama and sprouts. These summer rolls are very appetizing…I’ve never had the spring roll wrappers like these. My favorite flavor ice cream is chocolate almond. I would love to win the ice cream maker as there are only two of us now so it would make just the right amount for us. Homemade ice cream has always been a big thing in the summertime here. It gets so hot…our high today will be around 107 and we have a heat advisory…so, ice cream is definitely in order…summer has struck a few days early! Really enjoy your blog and recipes…keep them coming! My favorite ice cream flavor is strawberry. I’m making these summer rolls but adding somen noodles to the mix. with chocolate or vanilla with…. Thanks Phyllis, the way the herbs or greens show through on the front side is one of my favorite things about these rolls ~ I’ve seen them done with edible flowers and they’re gorgeous! I was so excited about the Summer Rolls recipe I forgot my favorite ice cream. My favorite ice cream flavor is mint chocolate chip. A close second is raspberry chocolate. But nothing beats vanilla ice cream with chocolate sauce and peanuts. My dad’s speciality. Happy Father’s Day. My favorite is coffee ice cream. 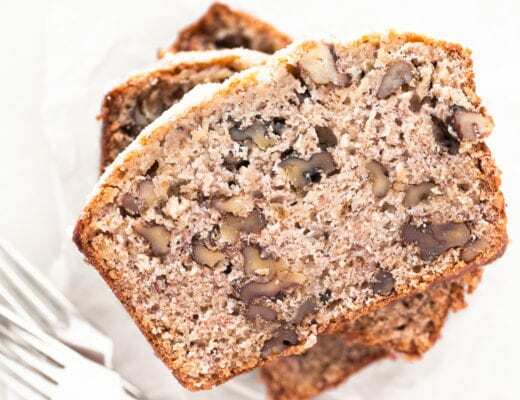 I love your page and enjoy the recipes, thank-you for posting them. As always your food creations are a work of art. Love vanilla ice cream! I cannot wait to try this. I love peanut sauce but always feel it won’t be as good as my favorite restaurants. Thank you! Sea salt caramel is my favorite ice cream flavor. Thanks for demystifying summer rolls. So excited to make them. Coffee flavored ice cream with crushed chocolate covered coffee beans. Yum! Hmmmm, any ice cream is a winner!! Those rolls are so beautiful! The salad bar at my favorite grocery store has most of these veggies already julienned so I have no excuse for not trying these. They’ll make the perfect lunch! My favorite ice cream flavor is chocolate chip. Thanks for the contest and the blog, Sue! I think of you as my neighbor on the other side of the country and my friend. 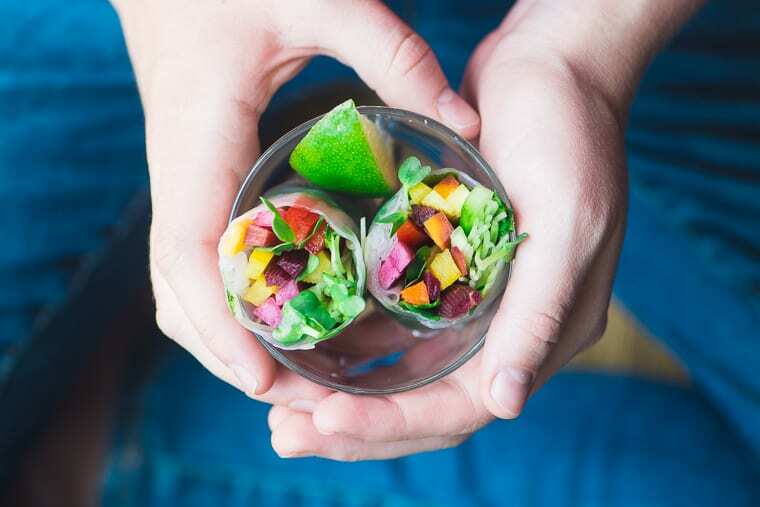 All of your photography is beautiful–the Rainbow Summer Rolls are particularly gorgeous. My favorite ice cream is Lavendar Honey and I would love to try to make it myself! I love strawberry ice cream made with fresh berries. These rolls look beautiful. I have some wrappers on hand. Off to the farmer’s market with me. Classic chocolate ice cream is my favorite. Love these for summer dinner. Can’t wait to try the coconut lime sauce! Chocolate chocolate chocolate! with pecans is my favorite. Chocolate, chocolate and more chocolate-especially dark chocolate. Ginger is my favorite ice cream flavor! It’s so refreshing. Would go great with these Rainbow Rolls too! Haha, now that’s an interesting thought! Hi Sue!!! Thank you for the recipes and encouragement! Favorite ice cream flavor is PUMPKIN!!! Now about your Summer Rolls. The colors are so Beautiful! You take the best pictures! What a beautiful presentation! Thank you for all the wonderful tips and tastes. Love this one. These look amazing! Thank you so much for the video. It really helps because I am challenged when it comes to making these rolls. I love these in the summer time, so colorful, light and satisfying. You did a great job! Can’t wait to make these and the ice cream too, LOL! These look so easy and delicious. I will be trying them for sure this summer. The coconut lime sauce also sounds amazing (and a nice change from peanut sauce). Beautiful summer rolls,I love all your recipes! How about one for my favorite ice cream – pistachio gelato ! Following your delicious summer rolls, I’d love some summer fresh strawberry ice cream – my favorite! So pretty, so delicious looking, so can’t wait to make them. Hard to pick a favorite flavor of ice cream. Chocolate marshmallow ice cream as long as it has real marshmallows and not a swirl. Raspberry lemonade sorbet is great on a hot day though. My favorite ice cream flavor is simply vanilla. Good vanilla where the ice cream is flecked with vanilla bean and the color of the ice cream has a rich decadent off-white because of the cream content. What a wonderful way to eat your veggies can’t wait to try it! Maybe I can get my grandkids to help so they will want them as well. My fav is strawberry with LOCAL strawberries!! Plain old Vanilla ice cream! Then I can stir in whatever I’m in the mood for or use it in a milkshake. Yum! Planning on making these for a party at work. They really are very pretty and sunny! 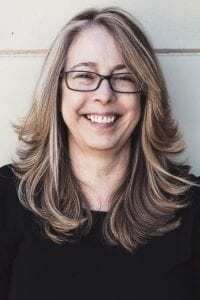 Thanks Anne, glad to have you aboard! These rolls look so colorful. I’m going to print off the recipe and try them for sure! Hmmm…favorite ice cream flavor? If I had to pick only one it would have to be maple walnut. Love, love,love!!! You mentioned a peanut sauce…. could you share that recipe? Oh… my favorite ice cream flavor is graham slam! Hi! My favorite ice cream flavor is rum raisin. Beautiful! I really look forward to all your posts and great ideas. My first job as a teenager was working in a small ice cream shop where we made all the ice cream, so I love almost all flavors! One of my favorites is still a good old fashioned grapenut :-). I cannot wait to make these mouthwatering spring rolls! I always thought they were a pain to make, but you make it look so easy! I always look forward to your recipes. Thanks for the good eats!! Love all your recipes. 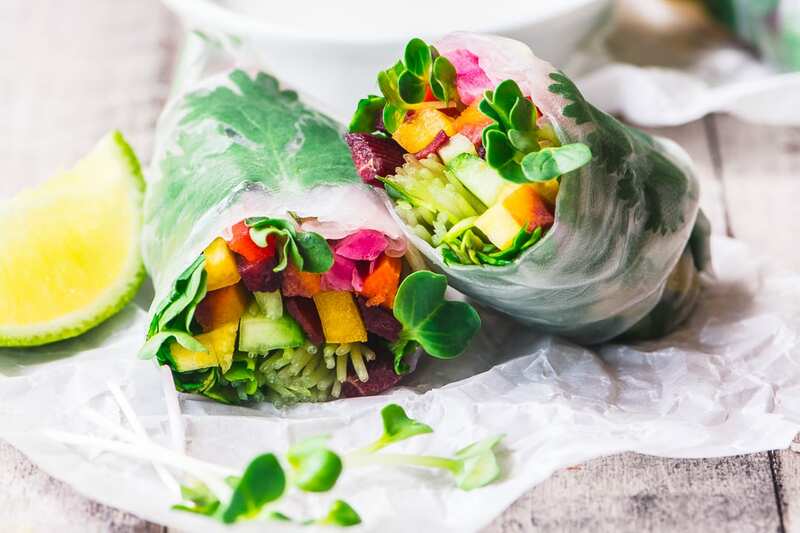 These Rainbow Rolls are perfect for me…made a vow to start eating more raw, fresh vegetables. BTW…to me there is nothing in the world better than homemade peach ice cream on a hot Summer day…or any season, for that matter. Thanks for your fantastic recipes and food ideas!!! The summer rolls look delicious, just like coffee ice cream with chocolate ganache swirling thru it! These look Ah-mazing! I’ll check our closest Sprouts store for the wraps, otherwise will order from Amazon. Can’t wait to try them! My favorite ice cream is salted caramel, followed by blackberry chocolate chip. Sprouts will definitely have them, Beth. Ice cream: Dulce deleche! I have never made my own, but it would be fun to try! Thank you for the info on the summer rolls! My favorite ice cream flavor is coffee. A little hard to find, at times, but such a treat. Coffee ice cream was my Grandma’s favorite flavor and whenever I have it, I think of her. I love French vanilla ice cream. Smooth, creamy and so many ways to enhance it with toppings! Beautiful Spring Rolls! I love good old fashioned Butter Pecan ice cream!! Your recipe, photos and video showcase the bounty of gorgeous vegetables, and you make it look both delicious and easy. Thank you for inspiring so many of us! My favorite ice cream is chocolate and peanut butter, any recipes coming up? Our favorite ice cream is fresh peach, made with my own fresh peaches from my trees here in Kentucky. It’s the ice cream my grandchildren always? request! I love a classic homemade vanilla ice cream. But peach is also awesome.. as are all of the chocolate/nut options! And these rainbow rolls look like my next adventure. Thank you. My newest favorite ice cream is Mountain Huckleberry! So smooth! Your summer rolls look beautiful and something I could make for my daughter who is vegan. So healthy they would allow a little indulgence afterward, like a little chocolate peanut butter ice cream. Your Rainbow Summer Rolls looks so refreshing and inviting, can’t wait to try. I so enjoy your posts, the recipes, the photos and your style. Thank you so much for letting me a a part of your fooding. And do we love ice cream, gelato, sorbets of all kinds. Thank you and enjoy your day. My favorite ice cream flavor is vanilla bean. My favorite ice cream flavor is cherry chocolate chip! The rainbow rolls are beautiful! I am looking forward to making these soon for my Mom. Two things. First, I really enjoy your newsletter and recipes. I’ve never made rolls like these before but I’m thinking of trying to make them. Love the colors! Too many ice cream flavors to love but tops are vanilla bean ? ?, peach, Oreo. Love the rolls. So colorful… and healthy! And my favorite ice cream is mocha almond fudge! I love black raspberry chip ice cream. Strawberries are in now. Strawberry ? ice cream is so delicious! Looking forward to trying your gorgeous summer rolls. Thanks for sharing. my absolute favorite ice cream flavor is coffee. I love coffee ice cream. Favorite ice cream is anything chocolate! The rainbow rolls are beautiful! Favorite ice cream is chocolate…anything chocolate! The rainbow rolls are gorgeous! 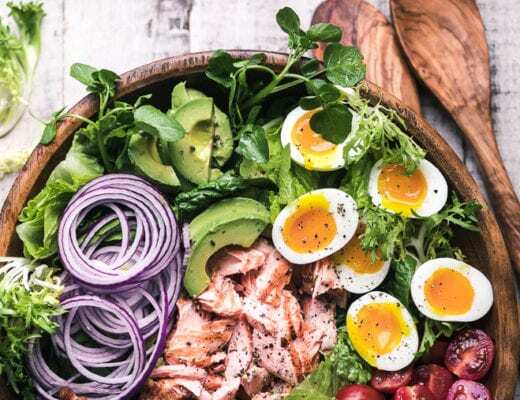 What a delicious way to eat a refreshing salad!! And can’t forget the dressing…yummm!! love spring rolls but love ice cream better. cookie dough ice cream my favorite!!! My favorite ice cream is fresh homemade peach ice cream! We made this when I was a little girl growing up! It was delicious! I would love an ice cream maker so that I could make peach ice cream and bring back those childhood memories! My sister and I will will have to try this during the hot Sacramento summer! And my current favorite ice cream is sea salt caramel, though I’m also partial to mint chocolate chip. ? The rolls sound delicious, although it may be difficult to find some of the ingredients here. Love ice cream and my favorite flavor if chocolate chip mint. 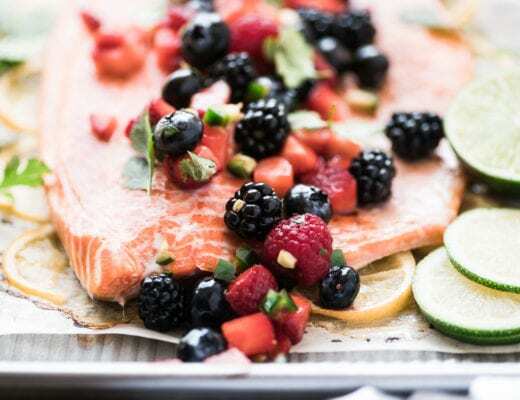 Great recipe for summertime dining! One of my childhood faves, too, and you can’t find it anymore! Favorite ice cream flavor? Cookies and Cream! These rolls look yummy. My favorite ice cream is key lime pie. What beautiful Colors on your summer rolls – just what is needed on a cloudy summer day. I love your suggestion of using fruit as well in the rolls. My favorite ice cream flavour is Baci made with the Italian chocolates of the same name! Have a great day. Gorgeous summer rolls! Everything you make always looks so inviting and your directions are always terrific!!! Favorite ice cream flavor: mint choc chip!!! I have a vegan ice cream recipe on the blog made with coconut milk, JoAn, and lots of fruit based non dairy options, check out the ice cream section of my recipe index! Thank you for this giveaway! My favorite ice cream flavor is mint chocolate chip. ahhh… your summer rolls are almost too pretty to eat! I’ll be trying them – maybe even tomorrow. I know hubby would love them on Fathers Day. Now about ice cream!!! ;-)…. my parents would break out the churn during the summers and it was THE BEST vanilla ice cream, ever! Vanilla is still my favorite! These are so gorgeous and the kind of recipe I crave this time of year. I LOVE your video – you make it look so easy. All those vegetables are colorful and no doubt delicious. Always vibrant, beautiful and mouth watering! Sharing and pinning and making asap! LOVE your non-peanut butter based dipping sauce! Cant wait to give these beautiful rolls a try. Beautiful summer rolls Sue, love the crisp beautiful veggies that you used. I could eat these all day long. Thanks for the inspiration. They are beautiful! I have a new little contraption..well new maybe 5 yrs old lol..I love it…for the rice papers..
What’s the contraption? A way to automatically roll them? Sounds interesting… And so glad the cones went over big! Summer rolls are definitely in my comfort zone although not feeling like eating doesn’t happen very often :) These are absolutely gorgeous, like a piece of beautiful artwork! I can still remember my first summer roll, it was in the middle of a heatwave and we were in a crowded Vietnamese restaurant, and the service was SUPER slow…they finally put a plate of summer rolls down on our table and that first bite was EPIC! So beautiful, Sue! I love summer rolls and eating the rainbow :) Great video, too! Thanks for the video vote of confidence Jennifer ;) I’m really struggling!